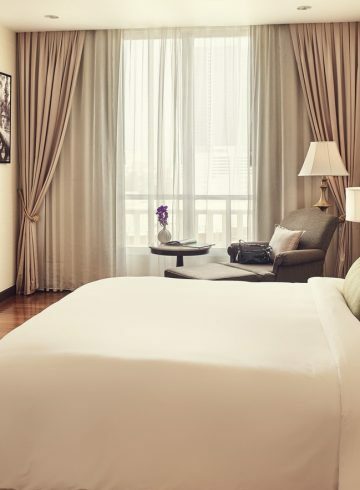 As part of the Sofitel ethos, our Superior Room accommodations are the epitome of timeless elegance. 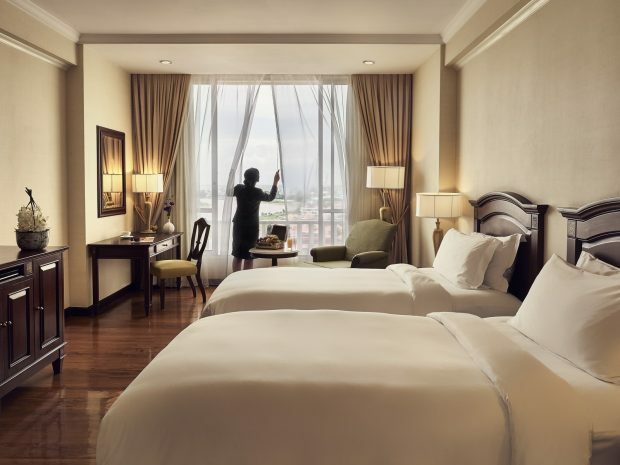 Its generous 40sqm of space is decorated in colonial style and splendour complete with all the luxurious amenities you could only dream about. We have spared no detail when it comes to your comfort, especially with the design of our custom created Sofitel MyBeds, available in king or twin variations. 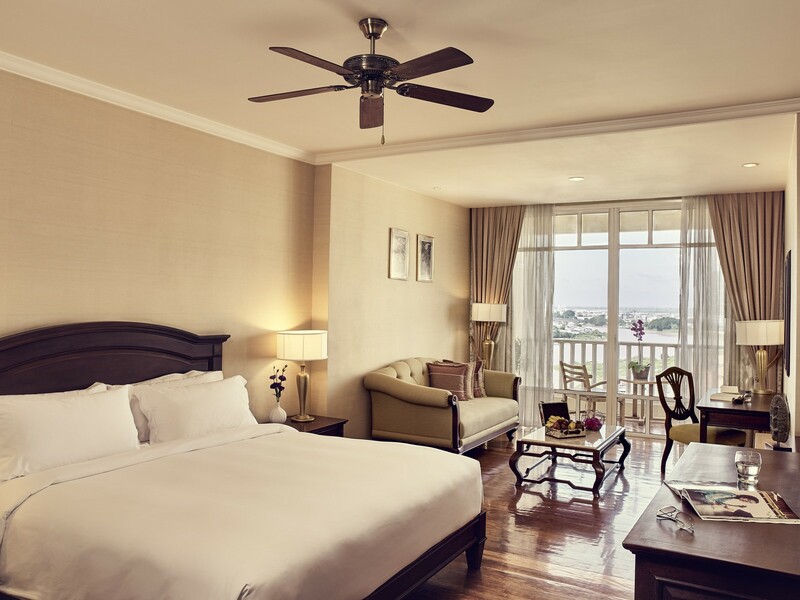 Our rooms are also fitted with silent air-conditioning units, and classically designed ceiling fans for relaxation throughout tropical weather, whether it is a restful night’s sleep or a well-deserved nap in the afternoon. With an extensive array of leisure amenities including complimentary Wi-Fi and a 42-inch flat-screen LCD TV fitted with a DVD player, you will be spoilt for choice when it comes to entertainment. 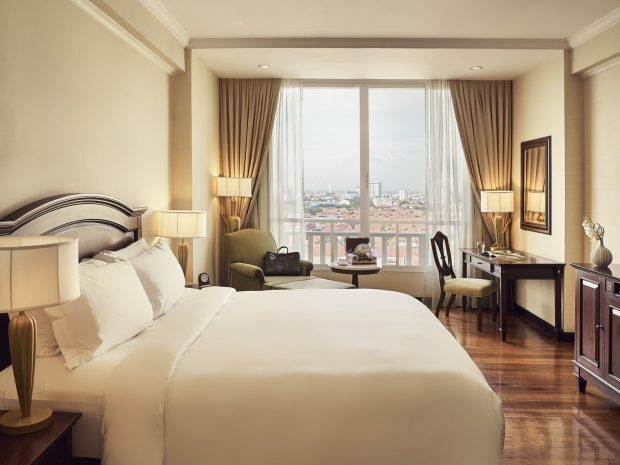 Each room also features an intricately designed writing desk which is the perfect place to unwind with a refreshing drink from the fully stocked mini bar, as you pen stories and adventures to loved ones at home. 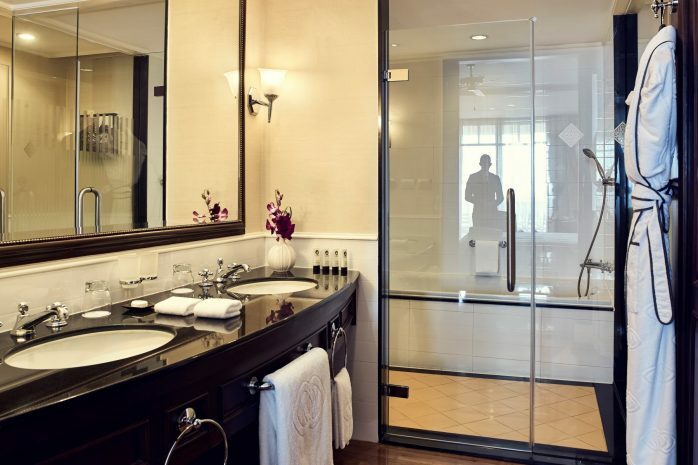 The spacious and well-equipped bathroom spares no detail, offering a separate shower and bath for relaxing after a day spent exploring the nearby sights, and taking in all that our hotel grounds have to offer. In addition to these luxuries, we gift every guest bath products from renowned healthcare brand Lanvin to assure a treat for the senses during your stay with us in paradise.